Hayward's rollercoaster recovery is a big risk - will it pay off? The Gordon Hayward we hoped for might not be the one we have right now, but the Boston Celtics are going to need something like him if they are going to make noise in the postseason. 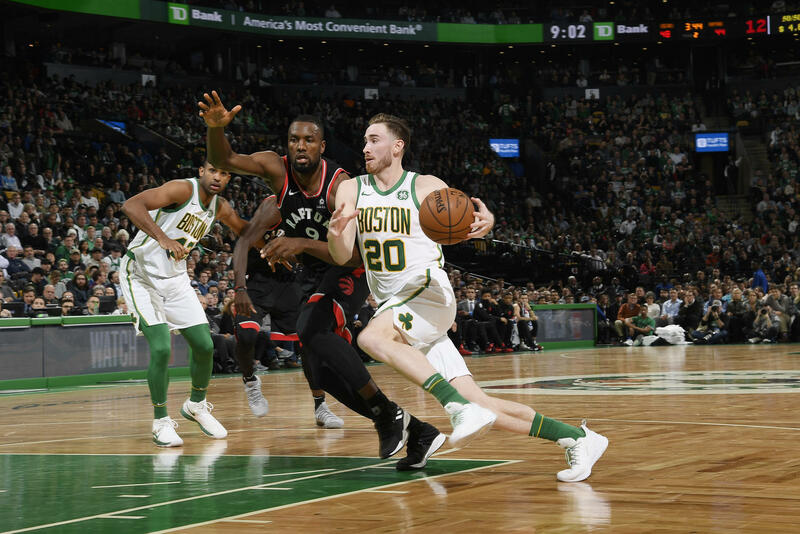 Hayward's recovery isn't just uneven, it's something of a rollercoaster - it seems to vary wildly from month-to-month, but also game-to-game, with different aspects seeming to advance or retreat at will. When you check Gordon's splits, it's clear he was terrible at everything to start the season - in fact, very, very bad by almost any useful measure save defense. Some of that was from trying to force him into a role he wasn't ready for, but a lot was due to him simply not being ready for extended minutes. Come November, and we see some progress - his numbers jogged up in counting stats and most advanced metrics, but his defense became terrible. December wasn't much different. January saw Hayward improve offensively in terms of efficiency without too much effect on his overall scoring impact, and saw him even improve a little defensively, but several high-profile stinkers; his last showing against the Golden State Warriors and a pair of them versus the Brooklyn Nets contrasted with stellar showings against the Toronto Raptors, Minnesota Timberwolves, and Dallas Mavericks have confounded even the most assured analysts. What is Gordon's future going to look like? Hayward on coping with the down times: "Some days are diamonds and others are stones. Sometimes you have a couple of stones in a row. I’ve said it after I had a good game. Try not to get too high on the highs or too low on the lows. I’ll keep working." It's clear he's got a lot of the tools needed to produce at levels he once did, but what will it take for him to be able to access them consistently? How should Boston view this equation in light of some important, uncertain weeks and months ahead? I wish I had the answers. I will say that for now, the range of outcomes for the Celtics and for Hayward are inchoate, but I suspect we'll see some broad clues in the coming weeks - buckle up, and fingers crossed.